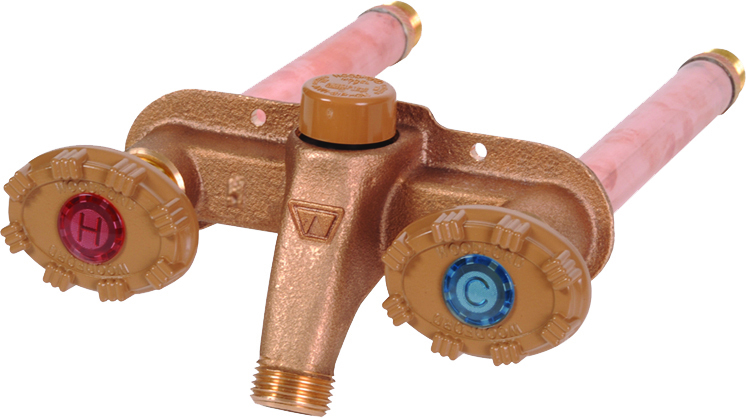 When ever I find a great new product, my first thought is our customers, which is why I am highlighting the Woodford 22, a hot and cold water outside faucet. Woodford is already our outside faucet of choice, they are virtually maintenance free and won’t freeze or burst in subzero temperatures. With the added feature of hot water outside, the Woodford 22 becomes a must have amenity! Having an adjustable hot and cold water faucet within easy reach of your dirtiest projects make them a breeze. Any spring cleaning from windows, to garages, to siding are finished that much faster with hot water blasting out of your hose. Summer fun with the kids won’t end in blue lips and fingers when you can add warm water with the turn of a handle to your sprinklers and pools. 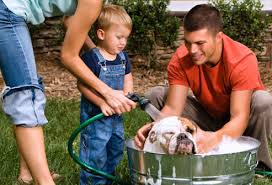 Washing pets outside will be faster and easier with your hot and cold outside hose. I’ve already asked Joe to install one to help make washing Rosie our new puppy, outside that much simpler. Making all of your outside projects one step easier is as simple as calling the shop at 636-391-1233 to set up your appointment today! Click coupons below to print.